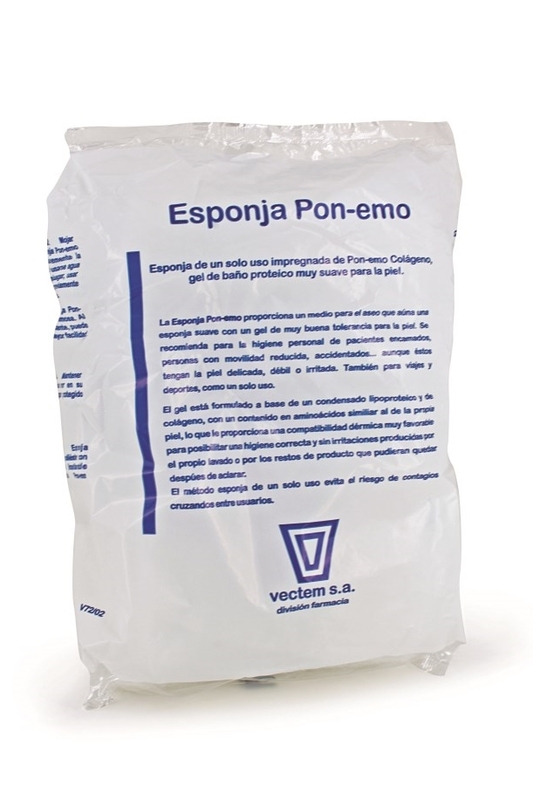 PON-EMO SPONGE , vectem s.a.
Sponge impregnated with Pon-Emo dehydrated collagen to cleanse and protect the skin. Single use: wet and use directly. Prevents cross infections, reduces the effects of friction on the skin and facilitates cleansing of sensitive and irritated skin. The Pon-Emo sponge is an alternative to conventional soaps which provides a more physiological and appropriate cleansing medium. It is a handy cleansing tool for persons whose mobility is impaired, who are injured or need help with washing and bathing. This cleansing system is recommended for long-term care facilities, nursing homes, hospitals, personal hygiene, etc.